There would have been only one season of Battlestar Galactica. Do you see what I’m seeing? THREE distance-1 jumps. 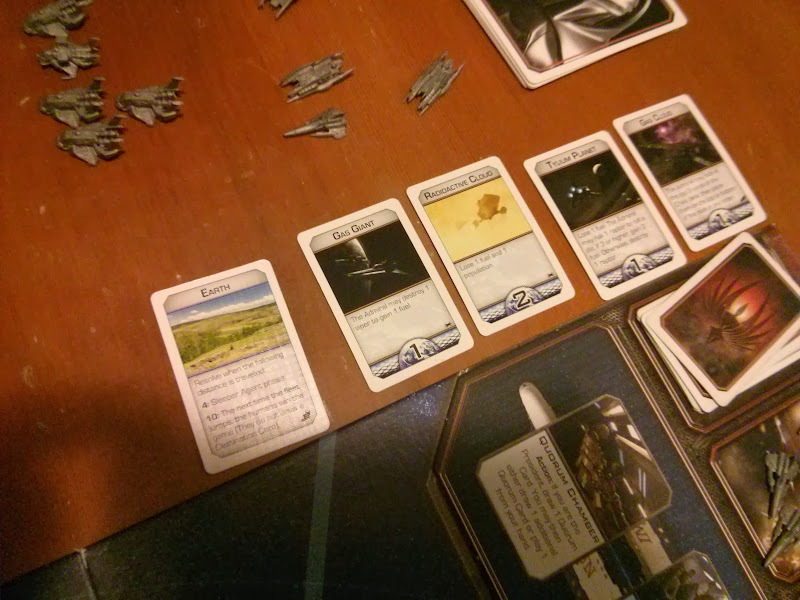 Our Admiral was NOT a Cylon (the Cylon having revealed reasonably early so we also KNEW the Admiral wasn’t a Cylon.) This means (and he confirmed at the end of the game) that the Admiral was presented with 2 distance-1 options THREE TIMES out of 4 jumps. If the Cylon wasn’t already revealed there would have been NOTHING the Admiral could have said to prevent being brigged. Sigh. Damn luck. Cards… are weird. I deal cards for a living, and I am NOT surprised.